Praise be to Allah (SWT). Hajj is one of the five pillars of Islam. It is obligatory on every capable Muslim to perform Hajj once in his or her lifetime. Capabilities mean that he must be able to afford Hajj both physically and financially. According to the above Quranic reference, Muslims who are able to find a way (means are able to afford the journey and accommodation in Makkah and all other related expenses and are able to physically endure the travel) must perform Hajj. Umrah, on the other hand, can be performed any number of times during one’s lifetime and is optional. 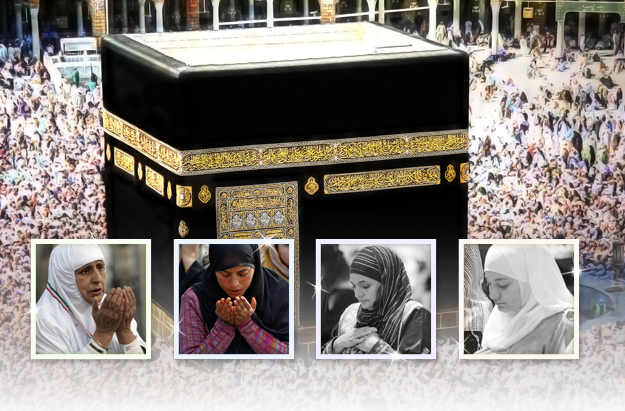 Men and women from all over the world wish to perform Hajj and Umrah once in their lifetime. Islam is a religion based on mercy and compassion. The teachings of Islam protect the weak and the vulnerable. It has specific intention of protecting the honor of women, their dignity and reputation which is why The Prophet (SAWS) forbade women to travel alone and without someone to protect them. The true intention of this prohibition is safety and protection, women are allowed to travel in a safe company accompanied by elders and reputable Muslim men and women. The first thing is that who is a Mahram. A Mahram is a male relative with whom she is permanently forbidden to marry because of blood ties, breastfeeding or ties through marriage. This includes several relations other than her husband, father, brother, son, grandfather, grandson, uncle, nephew, father-in-law, son-in-law, stepfather, stepson and any male with whom she has shared a mother’s milk are Mahram for a woman according to Islamic Shari’ah. There are mixed opinions about women going to Hajj and Umrah with or without a Mahram. Some scholars are of the view that Hajj is not obligatory for a Muslim woman if she does not have a Mahram, even if she can afford the journey. Some scholars believe that women who do not possess Mahram and are able to afford the expenses, and then they should sponsor someone else to do Hajj in their place. According to the current Saudi rules and regulations, women under the age of 45 years cannot go for Umrah unless she is accompanied with her Mahram. Complete details of the relationship between the two should be provided with the applications. If a woman is 45 years old or older then she can go without a Mahram only if she is traveling with an organized group or family and she submits a notarized No Objection Certificate from her Mahram. There are certain instances when it is not allowed for a woman to even leave the Kingdom of Saudi Arabia without a Mahram. The rule of thumb, in this case, is, how their visa is issued. If the visa is issued with a mahram’s name on it, then she can not leave Saudi without that Mahram. This can happen in instances where flights are scheduled differently or the lady in question and her Mahram are planning to leave for two separate destinations. So, please consult us before booking your flights and making your package arrangements before traveling. The minimum age for a mahram is 17 years to accompany any blood relative lady. If your Mahram is not in the country of your departure, you can book indirect flights to get together at a certain point before entering Saudi. Please remember again, that you need t leave together as well. The visa process in such cases is also complex. We have covered that in a separate post here. There is also a prevailing unscrupulous arrangement some agents are engaged in and that is “arranging a mahram”. This includes stapling the lady with a family completely unknown to her. This can not only result in legal trouble but also can ruin the very essence of the ibadah one is going for. So please avoid trying to dupe the regulations and stick to legal and shariah guidelines always. 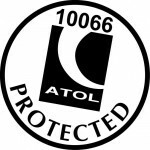 You can always call us on 0203 0262651 for more information. Our agents will be happy to assist you with more information on the subject and discuss your specific requirements with you. We can also make special arrangements or recommendations if your Mahram is in a different country.